Watch These Pakistani Girls Put A Desi Spin On Justin Bieber's "Baby"
Facebook user Umar Hayat's video of two girls singing Justin Bieber's "Baby" in the streets of Pakistan has gone viral. Hayat's description notes that the video was taken "somewhere" in Punjab, Pakistan. The video was uploaded three days ago and has over 1.5 million views and 68,000 shares on Facebook as of the writing of this post. 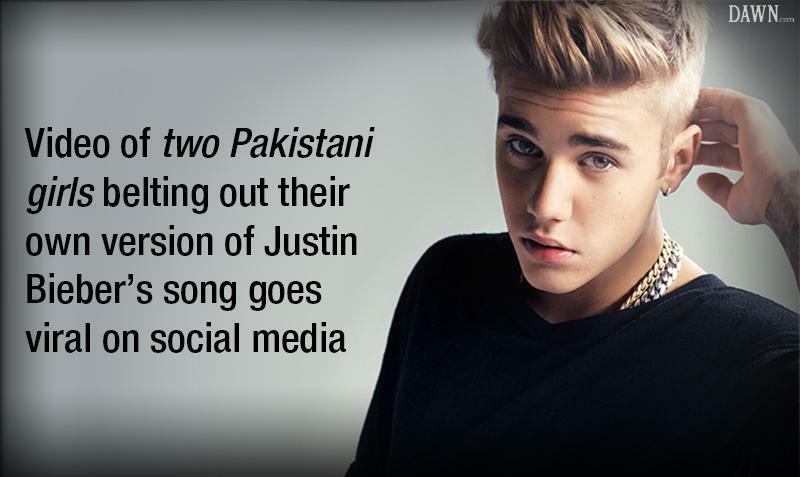 Major Pakistani newspapers like Dawn and The Express Tribune covered the video, with the Tribune going so far as to say that the two girls "owned" Justin Bieber. Attempts to locate or identify the girls have been unsuccessful. Many commenters noted the video showed there was hidden talent in Pakistan. Others were shocked by the contrast. What the faaaaaaaaak in the world is this????????? #JustinBieber @justinbieber #Pakistan|i girl in #JB's soul!!!! ...there's this auntie laying down a SERIOUSLY SICK beat as backup.